275th day of the year. There were then 90 days left in 2018. 11th day of Fall. There were 80 days left till Winter. 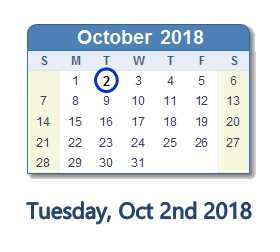 What happened on October 2nd 2018? U attract the energy u put out ..